that dream seemed just so far away. 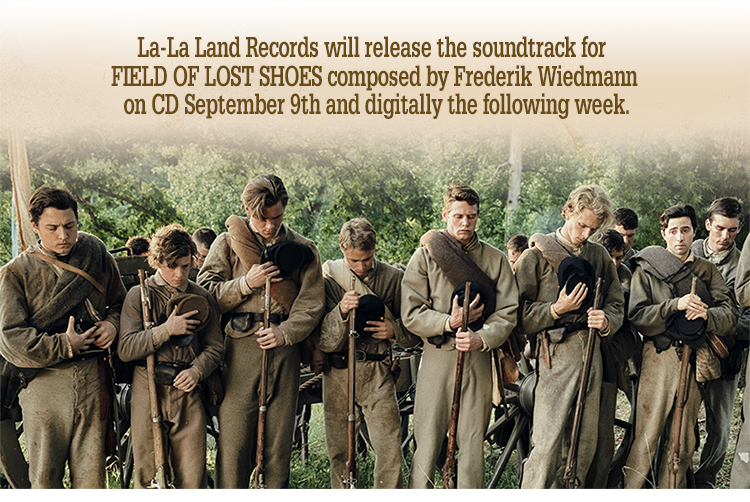 But years later, I met Field Of Lost Shoes,” described Wiedmann. “During the spotting session, I realized I was about to get the chance to write my dream. Civil War, culminating at the Battle of New Market, May 1864. A group of teenage cadets, sheltered from war at the Virginia Military Institute, must confront the horrors of an adult world when they are called upon to defend the Shenandoah Valley. Leaving behind their youth, these cadets must decide what they are fighting for. 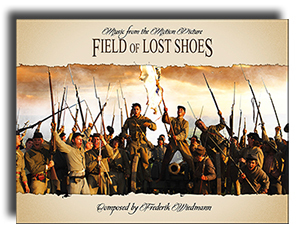 The movie’s title refers to the moment when 257 young VMI cadets charged successfully through a soggy wheat field toward Yankee positions—even as many of their shoes remained stuck in the mud—forcing the Union forces to withdraw. The film stars David Arquette, Tom Skerritt, and Jason Isaacs. composer Frederik Wiedmann at no additional charge. As always, autographs are limited and are sold on a first come, first served basis.